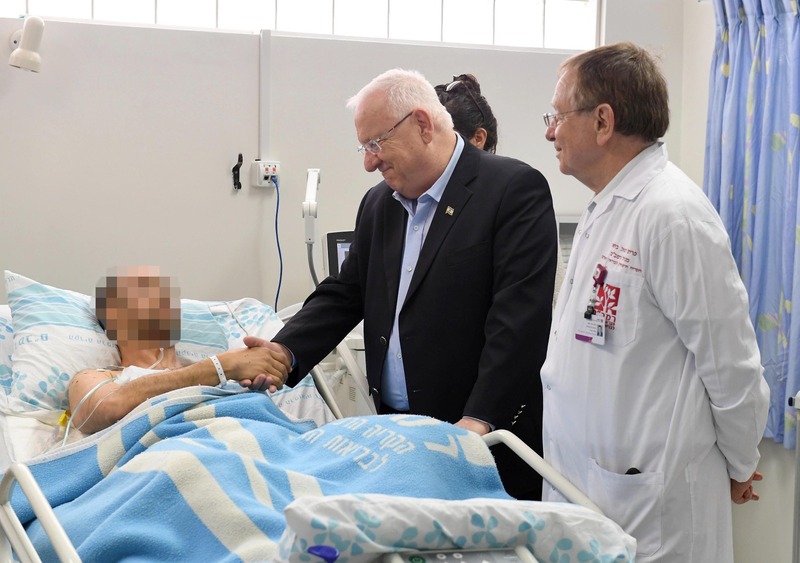 A seriously wounded pilot, who ejected from his damaged F-16 fighter jet on February 10 after it was struck by Syrian anti-aircraft fire, walked out of Haifa’s Rambam Hospital in “good” condition Sunday and went home, doctors said. The pilot arrived at the hospital unconscious and attached to a respirator. He was seriously hurt from shrapnel wounds in his abdomen, and had to receive emergency surgery to stem internal bleeding. 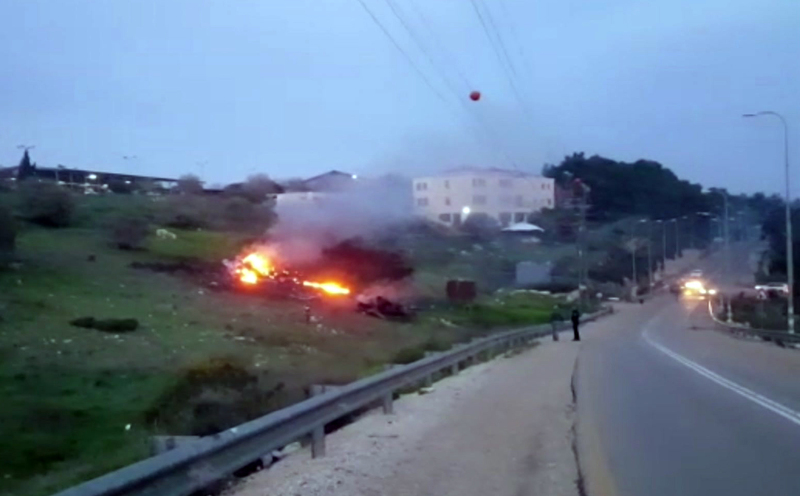 He had ejected from his jet as it crashed in a ball of flames into a hillside in northern Israel. His condition stabilized after the surgery, and he was moved out of intensive care within days. 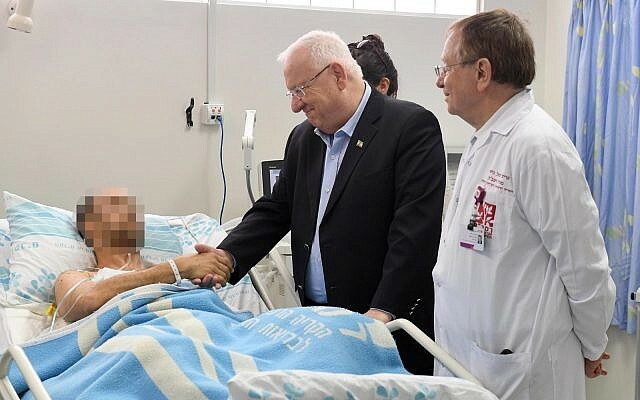 The head of Israel’s air force, Maj. Gen. Amikam Norkin, visited the injured pilot the day after the crash and praised his decision to eject from the jet. The plane’s navigator, who also ejected, was lightly injured in the incident. “From the moment you understood that you needed to abandon the plane you made the right decision, and saved the life of the major and of yourself,” Norkin told the pilot, according to an IDF statement last Monday. In transcripts aired by Hadashot TV news last Sunday, the airmen say they had mere seconds to eject from the plane after a missile exploded alongside them. “There is no long process and also there is no time. A few seconds. The understanding [was] that we need to quickly abandon, as a result of the physical damage to us and also as a result of the damage to the plane that ceased to function,” one of the two was quoted as saying. Neither the pilot nor the navigator has been identified, in keeping with IDF policy. 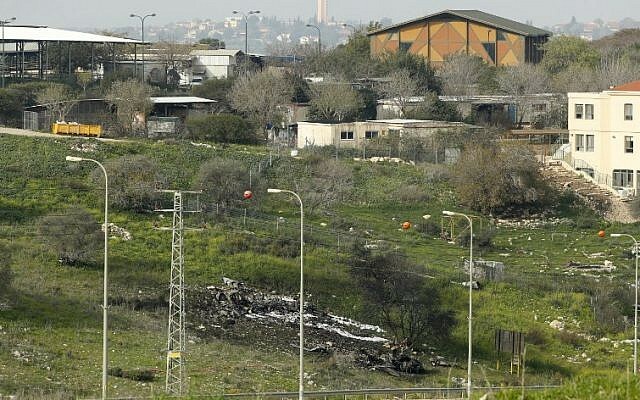 The jet crashed into a hillside near Kibbutz Harduf in northern Israel, only a few hundred meters from homes and buildings. The wreck was caught on video. Nobody on the ground was hurt in the incident, which came amid a round of intense hostilities on February 10, sparked when an Iranian drone infiltrated Israeli airspace, triggering Israeli airstrikes against Iranian targets in Syria. One resident of Harduf told Army Radio last Saturday that she was sure the community was under terrorist attack, after hearing the loud noise that shook the kibbutz. Investigators are still reviewing exactly how the plane was hit and are reportedly probing whether there were any technical failures, such as some of the F-16’s early warning systems not working correctly. It was the first Israeli plane downed since 1982. Brig. Gen. Tomer Bar, the Israeli Air Force’s second-in-command, said the Israeli planes faced a massive barrage of Syrian anti-aircraft fire, which reportedly included at least four different types of Russian-made air defense systems, specifically the SA-5, SA-17, SA-6 and SA-3.